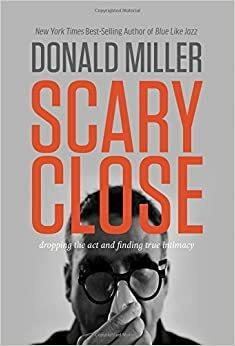 Perhaps more than any other book Donald Miller’s Blue Like Jazz helped define a generation of evangelicals like myself. The 2000’s were a turning point for many evangelicals – many of us were looking for an identity. We had grown up in the church but somehow stuff felt too “churchy” to be real – we were craving authenticity we were craving reality. We loved Jesus but the “churchiness” of the church felt ineffective in reaching the world for Christ, we were trying to be missional but didn’t even know it. So a lot of us dabbled with the emergent church – there was a point in which everyone wanted to be emergent! Others of us planted our feet firmly in traditional evangelicalism. Well that phase passed and the emergent movement slowly died; however what emerged was something way better than that. What emerged was a more missional, more orthodox, form of evangelicalism. Donald Miller had a part to play in that – he showed us it was okay to be Christian, love Jesus, love the church, without being “churchy.” He showed us it was okay to be a Christian and not have our lives all figured out. Now, 12 years later Donald has written another book – this time it seems like Donald is finally getting some sort of resolution…. Donald is getting married! Scary Close is a very personal look at intimacy and relationships through the lens of Donald’s engagement process. In it Donald reveals his tendency to perform or to play a role in order to get people to validate him. This of course took a toll on his relationships. As he put on this façade he found it harder and harder to find meaningful relationships – especially when it came to romantic relationships. Using his signature conversational, snarky, and imaginative style Donald shows us the important truth that you can only be as loved as you are known. He shows us that we don’t need to control every aspect of our lives – in fact when we try to do that we tend to destroy relationships. He shows us that being vulnerable can be scary but that its essential to being in loving relationships. Basically this book is a way for Donald to say to the reader that in order to experience love – you have to get scary close – but that its completely worth it. I enjoyed reading this book. I enjoyed his stories, adventures, and conversation with random people along the way. It’s a quick read, its light and refreshing. Previous Previous post: Fear & Loathing In… God?